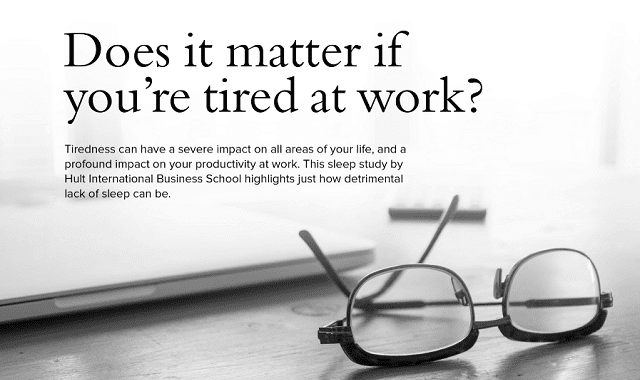 Does It Matter If You're Tired At Work? #Infographic ~ Visualistan '+g+"
Tiredness can have a severe impact on all areas of your life, and a profound impact on your productivity at work. This sleep study by Hult International Business School highlights just how detrimental lack of sleep can be.